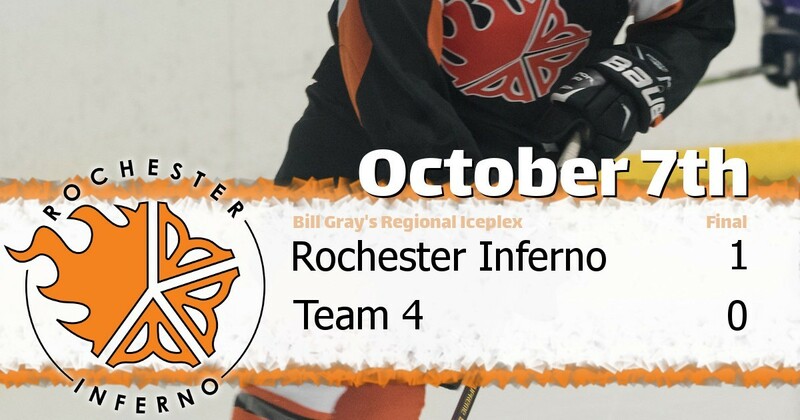 PAUL LOUIS ARENA, October 7, 2018 - The visiting Rochester Inferno (D-) took on the Team 4 in a matchup on Sunday. The Inferno defeated Team 4 via forfeit at Paul Louis Arena. No statistics recorded for this game.